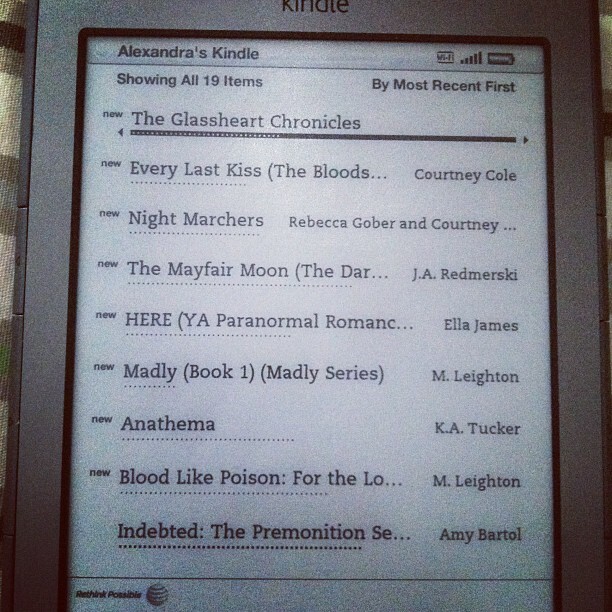 I bought a Kindle a while ago and have been loving it. My husband can attest that you practically have to pry it out of my hands. I am SUPER cheap. I love that the local libraries offer Kindle books, but their selection isn't always the best. If you're an Amazon Prime member (like I am), then you can also check out 1 book a month from the Prime library (again, limited selection). But somehow I stumbled on a real treasure. Many YA authors are now listing their first book for FREE. The sequels are $4 or less, which is still pretty cheap. So, I thought I'd share with you what I have been reading. Let's be honest, they aren't all great, but when a book is free, I'm more willing to try it and abandon it. - Madly Series by M. Leighton : Listen, this one is about Mermaids and fairytales. I was dubious at first, but really enjoyed them. The series is still ongoing. First book free. - Destiny Series by Nancy Straight : Meh. It was interesting, but the male lead wasn't macho enough. The girl does the rescuing for the most part. 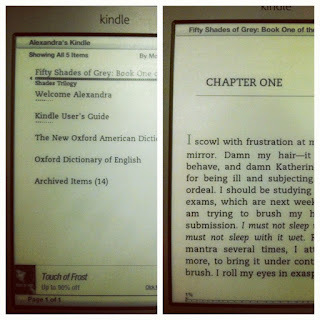 First book free. - The Vampire Agápe Series by Georgia Cates : Haven't read this one yet, but the author was sitting next to Amy at the book festival. First book free. - The Darkwoods Trilogy by J.A. Redmerski : Haven't read it yet. First book free through Amazon Prime. - The Causal Enchantment Series by K.A. Tucker : Really liked this series, but forgot who the author was and couldn't talk to them about it at the book fair. Lame. Eagerly waiting for the next book. First book free. - Meant to Be by Tiffany King : Full disclosure: I didn't get past chapter 1. You may like it though! It's worth a shot...First book free. From there Amazon should be recommending more books than you can read, most of them super cheap or free. 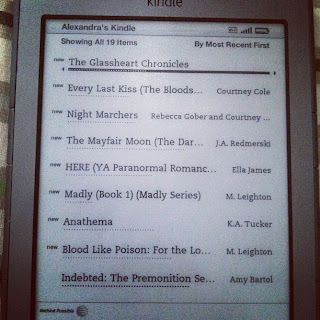 Yes, Kindle rocks. So easy to take travelling too - loaded up with books. My only quibble is that it doesn't do craft books so well due to the pictures and layout, but them's the breaks! LOL, I have a few of those free books on my Kindle also! Some are pretty good...I have purchased my 3rd sequel to one of them! 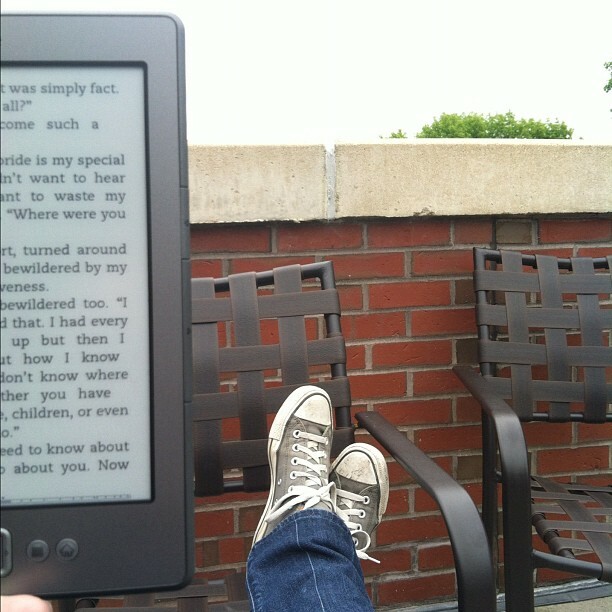 I rebelled against the Kindle at first, but now I love it! Wish I had more time to read...but quilting is taking over right now! 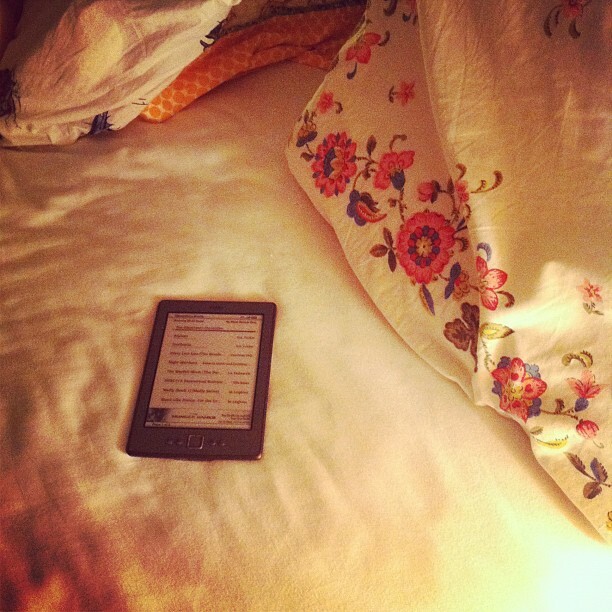 My husband has a Nook and he LOVES it! He has a bunch of books on there and read a lot while he was gone. 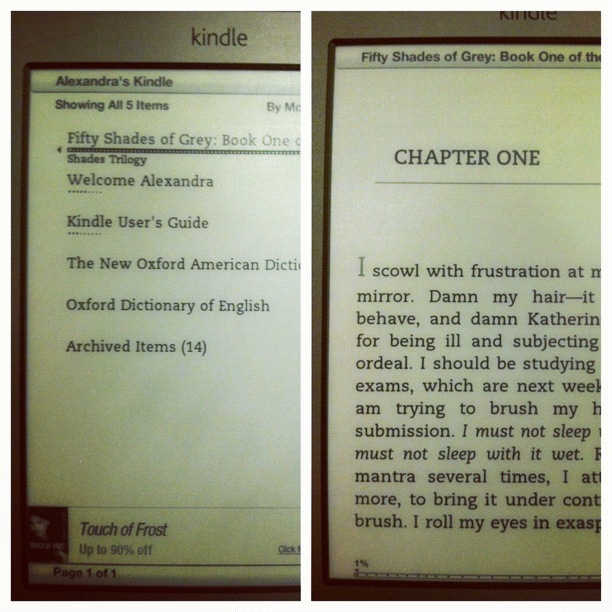 I only download free books for the kndle app on my iphone to read when I cant have a real book. Sometimes my fav authoers will announce on their fb pages a .99 book.